To reach a hurting world with the healing gospel of The Lord Jesus Christ, is our passion, our mission, our purpose. You will be welcomed no matter your past or your present! We believe that Jesus Christ gave His life for the bruised and battered of the world, and want to be a "hospital" for broken lives, broken spirits, and broken hearts. We love Christ and His Word, and YOU! 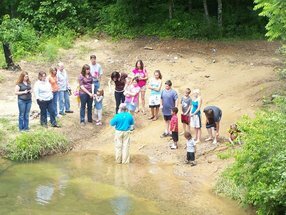 When you come to a service at Meridian, you will find them less formal than most, and a warm family atmosphere. 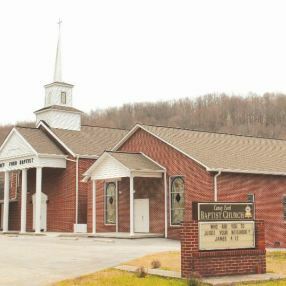 The singing is usually lively, and worshipful with a Southern feel. 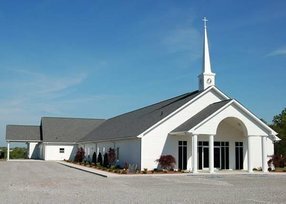 The community at Meridian is rural. The people are kind and caring. You are so welcome, and will never be pressured to make a decision you're not ready to make, nor will you be begged for money. We welcome you. You will be show Jesus and His love not only in word but in deed. 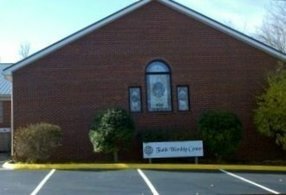 Married to June in 1978 Son, Jeremy and wife Sarah, and three precious grandchildren Daughter, Holly Saved in August, 1968 Began as Pastor of Meridian in 1992 Believes the Bible and preaches it as it is written Degrees from Covington Theological Seminary and Slidell Baptist Seminary. Go here? 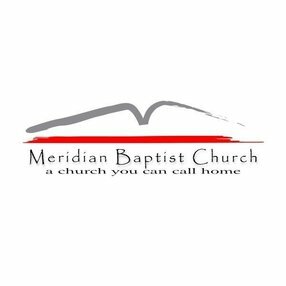 Tell us why you love Meridian Baptist Church. Visited? Tell us what a newcomer can expect. 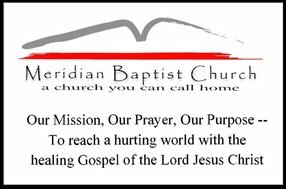 Enter your email address to receive an informative welcome email from Meridian Baptist Church.